Many large companies use various outlets for promotional purposes. Some may use traditional kinds of promotional venues, such as television, radio, and newsprint. 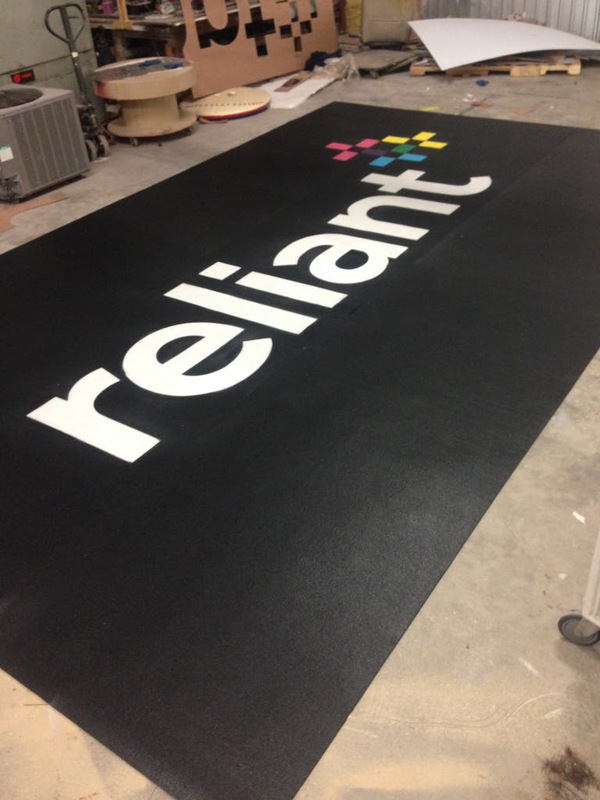 But when you are a large company like Reliant Energy, you tend to find more creative ways to promote your company name. Smash Design is the type of company that transforms your company name into something recognizable and likable. Recently, Reliant Energy needed props to promote their business somehow during the Houston Rockets games. 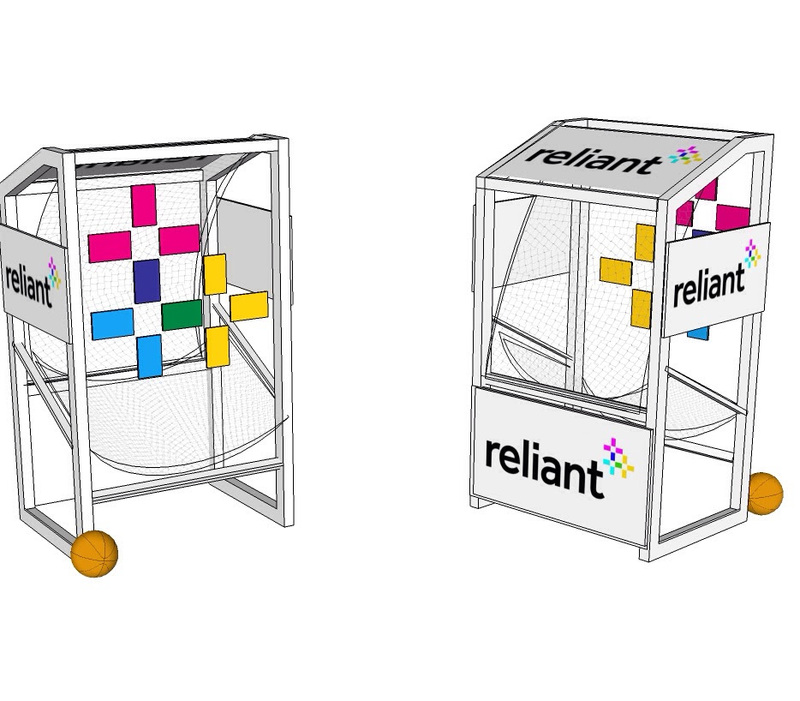 Together, we came up with several promotional items that screamed “Reliant.” Smash Design created different promotional props with different uses for Reliant to use during the Houston Rockets games. The first prop is a massive center court mat with the company name and logo. The second, is a life size figure of an NBA defender running while dribbling the ball. The silhouette has a clear inside with the Reliant Energy logo placed on the defender’s chest. The last promotional prop is a “game” created for select guests to play during halftime. Below is the mock-up illustration, followed by the final product. 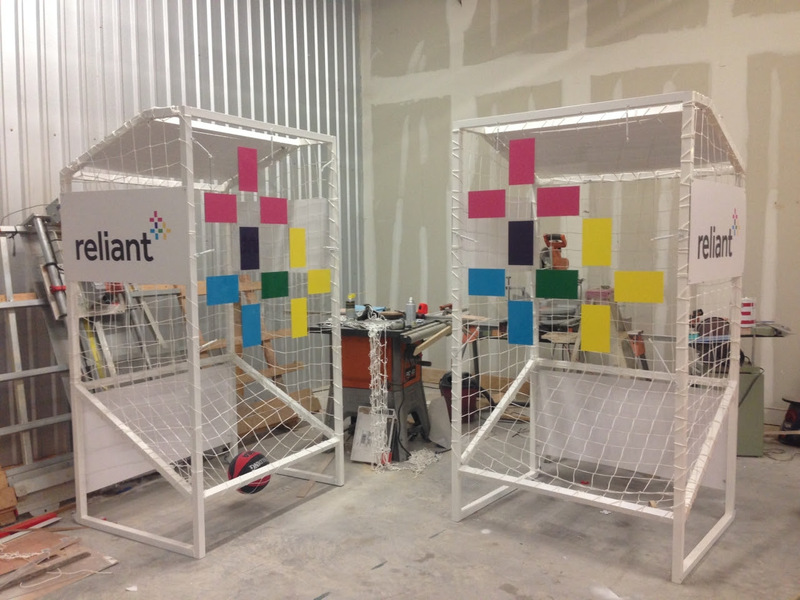 If your company is in need of a few promotional props to showcase your business, give us a call!